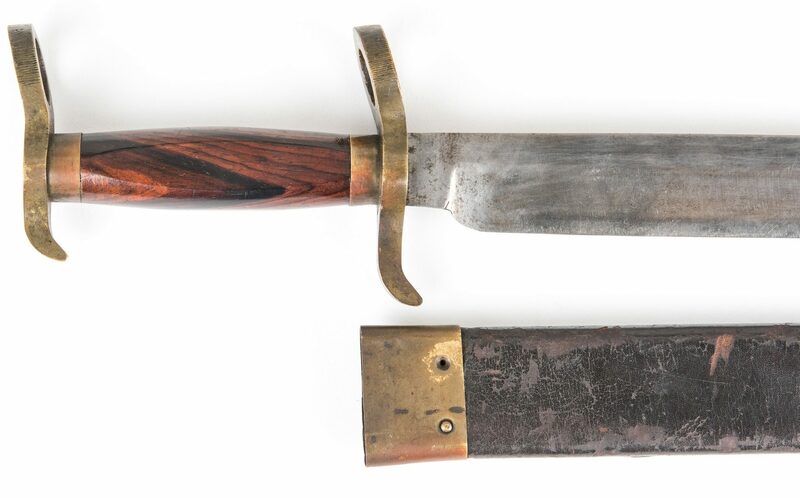 Confederate Bowie Bayonet Knife with original leather scabbard. Four-sided rosewood grip, brass attachment ring at the cross guard and pommel, blade with flat back and rounded at the end on the edge side. 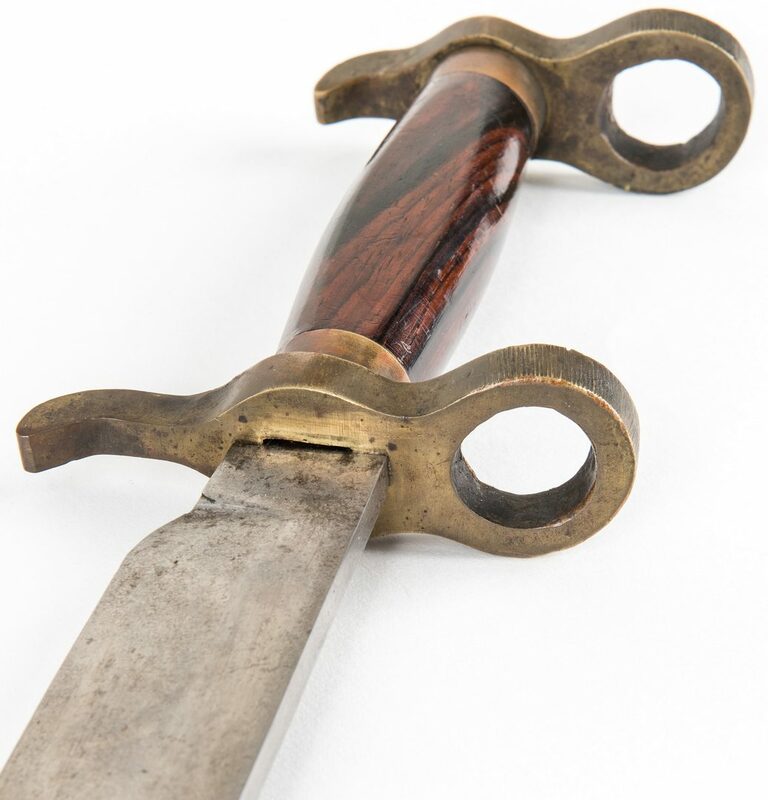 Scabbard with brass throat and tip, the top of the belt loop is riveted to the throat, the bottom of the belt loop is stitched to the scabbard. Unmarked. Blade length – 12 3/8". Overall length – 17 1/4". 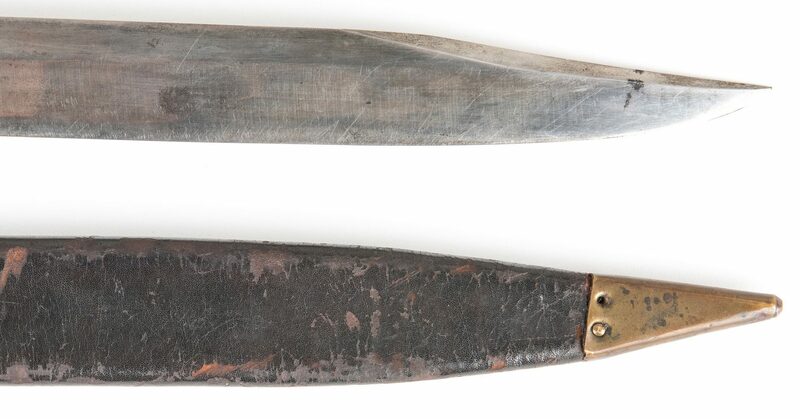 Scabbard length – 13". Provenance: Estate of Jim Maconkey, Landrum, SC. Note: Most likely made by Cook and Brothers of New Orleans. CONDITION: Overall good condition with wear to be expected from age and manner of use. 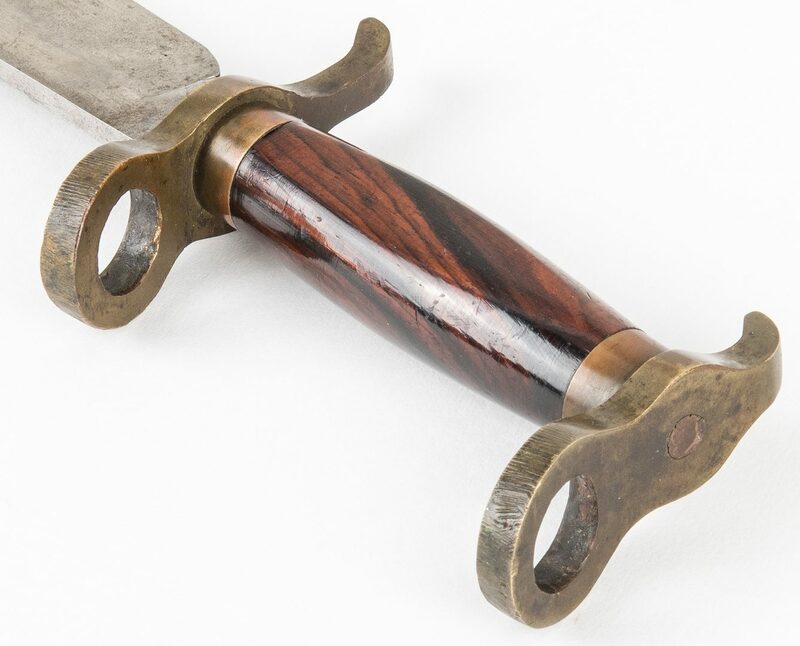 Rosewood grip with original polish. Belt loop is present. The blade is bright and as-made. Brass with areas of tarnish.